I really enjoy shooting for fun. While it’s true that my entire adult life has been spent in an armed capacity of one form or another I’ve never lost the enjoyment of trigger time. Like many pleasurable things, variety keeps life new and exciting. Shooting for me is no different. I’m always looking for a niche or class of firearm that will be enjoyable to shoot or collect. Maybe it’s something that friends and family would really get a kick out of shooting. Thinking of accessibility to all types of shooters led me to look into building a 9mm short barreled rifle (SBR). I had shot a few pistol caliber carbines and I liked the lack of recoil, the low cost of shooting and the fun factor. When I got serious about this new project I discovered that a local company, Double Diamond Law Enforcement Supply (DDLES), had come out with a dedicated pistol caliber AR lower that used glock magazines. I was fortunate enough to buy their 9mm lower prior to the rush on anything and everything firearms related. Now before we go on, I should mention that DDLES has gone out of business. I’m not going to go into the drama and poor business dealings that happened – there are message boards with HUNDREDS of pages of horror stories about the customer service and order problems. Instead I’m going to focus on the product and the end results. I ordered the lower over the phone and was able to pick it up at Double Diamond’s shop in Tucson. They engraved the lower in-house so that was one less thing to worry about, knowing I was going to turn it into an SBR. Because the lower uses Glock magazines you have to have the bolt base milled to fit between the feed lips of the magazine. I sent my ramped CMMG 9mm bolt off to Adco Firearms (http://www.adcofirearms.com) in Sylvania Ohio. Adco is well respected for doing AR bolt modifications and their work didn’t disappoint. I used a Spikes Tactical 9mm upper which lacks a forward assist (FA). For those of us who have the immediate action acronym SPORTS drilled into our heads the missing forward assist takes a moment to get used to. But the 9mm AR bolt doesn’t have the grooves on the side that a FA mates into, so its absence is a pleasant aesthetic improvement. I chose to go with a 5.5” barrel for a balance of accuracy, velocity and small size with the ultimate goal of putting a suppressor on it. But that’s a write-up for another day. When it came time to source the barrel, none of the big barrel makers had a 5.5” barrel in stock. Searching the internet I was able to locate Ordnance Direct in Ironton Ohio. They make all manners of custom AR barrels. They’ll mill you any length, profile and taper you can imagine. I emailed the owner Jesse Hitchcock and he was a pleasure to work with. I explained what I was looking to do and my ultimate goal of putting a can on the gun. Jesse gave me a bunch of guidance regarding threads, profiles and the like. All told, the barrel I got from Jesse was cheaper (in cost) than any of the big name brands. Plus the three gunsmiths that have handled the barrel and finished SBR have commented on Jesse’s craftsmanship. The handguard is a Yankee Hill Machine Lightweight Series Forearm. Because the barrel is only 5.5” I chose the “mini” length of 4.15” for the handguard. It’s a quad rail forearm so you have options for vertical grips, lights, sights, BUIS and the like. Ok ok, enough fanboy shopping list malarkey! How’s it shoot? Well about that… Once the stamp was in hand and everything was bought and assembled (in that order) I found out that the upper wouldn’t mate with the lower. If the bolt wasn’t installed it went on just fine. Install the bolt and nope. There was about 1/8th of an inch that separated the upper. After some frustration and looking at witness marks inside I found that the factory installed ejector had too tall of a profile and the top of it was binding on the bottom of my bolt. Hmmm, ok. So a little light filing of the ejector and it doesn’t catch anymore. Now out to the range…The first two hundred rounds or so were exciting. Exciting in the “never know what’s going to happen next” sort of way. Let’s just say as the lower parts kit settled in and made itself at home there were some rate of fire issues. After about two hundred rounds the rate of fire was consistent and predictable. Then we went through another two hundred rounds of firing and having bolt reset issues. But that problem also magically worked itself out. Now the gun runs great, save one feature. One of the selling points for the DDLES glock lower was the presence of a last round bolt hold open. There is a transfer bar that catches the empty magazine follower and pushes up on the bolt catch. When I picked up the lower, Double Diamond’s owner mentioned to me that the tab on the transfer bar might have to be bent in order to make the hold open work. He said it was unlikely but wanted to tell me how to troubleshoot it just in case. Ok.
Well sure enough, it didn’t work. I tried to bend the tab on the transfer bar as he showed me and no dice. Going to the interwebs I found that a lot of people had a similar problem. There were even more in-depth troubleshooting guides published to remedy this. Following those guides I bent, twisted, formed and massaged that stupid transfer bar with no luck. I have pretty much written off the last round bolt hold open feature as a total loss. But ok. This is a range toy. I’m making marks on steel, not on ISIS foreheads. The thing doesn’t NEED to work. It would be nice if it did. It would also be nice if I lived on a river and could eat sauerkraut and chocolate all day without digestive problems but that isn’t going to happen either. Now that the foibles have been discussed, how does it shoot? Enjoyably well. It is a fun trigger time gun. That said, the recoil while minor, does affect your follow up shots. That’s a function of how light the gun is, the lack of forward weight and the mass of the heavy 9mm bolt and heavy buffer cycling with each shot. Now understand, it’s a joy to shoot and not uncomfortable in any way. But really quick follow up shots aren’t this guy’s forte. The super compact size is a lot of fun. If you collapse the stock all the way down you have a TINY shoulderable package. However for normal drills and plinking the stock comfortably sits about two thirds of the way extended. Accuracy is easily minute of man at 75 yards. Up to 30 yards it is as accurate as any of my other semi-auto rifles and as much fun as any of them too. So, since DDLES is kaput, what’s a shooter to do if they want a similar package? It seems that the Double Diamond lower design was acquired by another Tucson company by the name of Quarter Circle Ten (http://www.qcircle10.com). They are making what appear to be the same (or extremely similar) lowers with way better customer service and responsiveness. I’ve followed them on Facebook and they always have new stock coming in and are pretty responsive to questions. 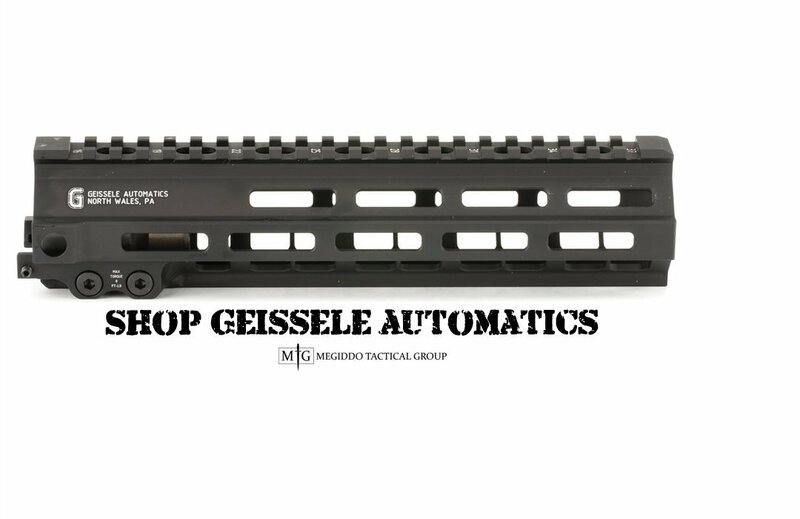 Another thing about this new company is that all of their lowers are made with 7075 aluminum. Double Diamond’s lowers were 6061 and cost extra if you wanted your lower made with 7075. The other added value with the new QC10 lowers is that they are made with a VLTOR matching profile meaning they will seamlessly blend with a VLTOR upper. This too was an extra charge for Double Diamond. If you’re looking to build a similar 9mm carbine/SBR you might check out Quarter Circle 10. Tell us your DDLES story in the comments! Any issues with Quarter Circle Ten? After all of this how would I summarize this build? It’s a mixed package. I enjoy that little SBR. It’s a lot of fun to shoot and it looks really sharp. But its reliability and functioning issues keep it squarely as a range toy. Not that I’m upset by that. I don’t really know when I’ll be kicking in doors, clearing rooms with a 9mm SBR. But if I was going to, this wouldn’t be the one I’d take. Opie is a long time friend of BSW's owner/editor Will. Opie brings a wealth of knowledge from his many years of military combat and law enforcement service. Opie's articles follow his passion for saving lives and serving his fellow brothers in arms. Anyone have any experience with DDLES? Lots of folks got burned from what I have heard. I picked up one of their colt pattern 9mm lowers in 2013. The customer service was the worst I have seen in any industry. My card was charged and I was told my lower would ship in two weeks. Four months later I had no lower so I called every day for over a month (they never answered) before they grew tired of me and finally sent the lower. I wanted a DDLES 9mm Glock lower but luckily I checked the forums before ordering one. The DDLES website showed 7 In Stock, but the forums were filled with people who had ordered 10-14 months ago who were still waiting for their lowers. I put myself on the Notify list at RifleGear.com as they were the only dealer I could find. A few weeks later I was notified and snapped one up. I too have the issue with BHO after last round. I can’t see how bending that bar UP will actuate the BHO. I’m not sure if they shipped me the shortened spring for the BHO paddle. I may have used the one out of my lower parts kit. I’ll pull that spring out someday and see if it is shorter than the standard spring. I also have failure to feed issues once in a while. Doesn’t seem like the “ramp” does much to guide the bullet into the chamber. I used the HeavyBuffers Tungsten buffer and this thing is extremely smooth and VERY quiet when suppressed. I am considering SBRing it (pistol currently) but the failure to feed is troubling. Any ideas? Have you considered contacting QC10 about the BHO issue? If you do, please let us know what they say. Thanks for the article! Thanks Will. I read somewhere else that an AR10 buffer spring might improve reliability. I might try that. As far as the BHO goes, it doesn’t bother me too much but it would be nice. I don’t want to bother the new owners with old owner problems. I’m sure they are busy getting the business settled. Glad to see they are actually new owners and not just the previous owner opening a new entity after bankruptcy (and stealing money from all those unfulfilled orders). Thanks for your help. I contacted Jesse in Dec of 2014 about a 9mm upper and initially everything was going well, he did a great job helping me decide what I wanted but suddenly he disappeared. He didn’t respond to my email asking for payment instructions. I emailed him again after the holidays, but I never heard back. I’m sure the quality of his craftsmanship matches the quality of his service. Just an FYI, that is the prettiest rifle I have ever seen and I’m glad Jesse responded to you.